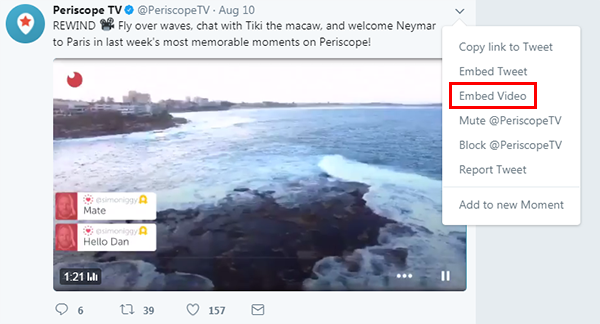 You can now add a Periscope video to your player. 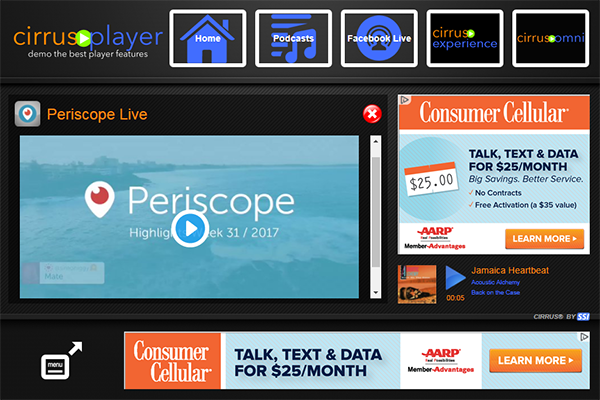 Whether you're using the classic Cirrus® Player or the Cirrus® Experience, you can allow your listeners to view your Periscope videos without having to leave your player. 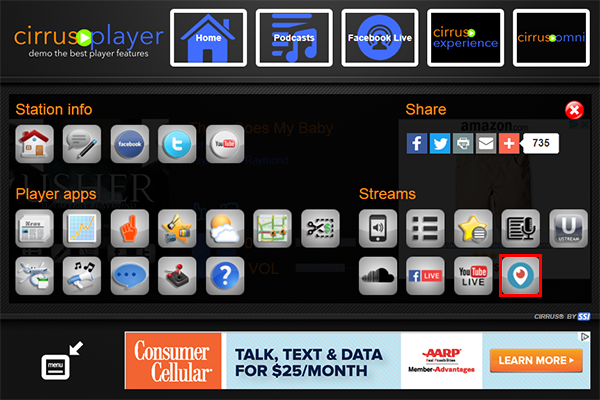 This is accessed via the player's menu. 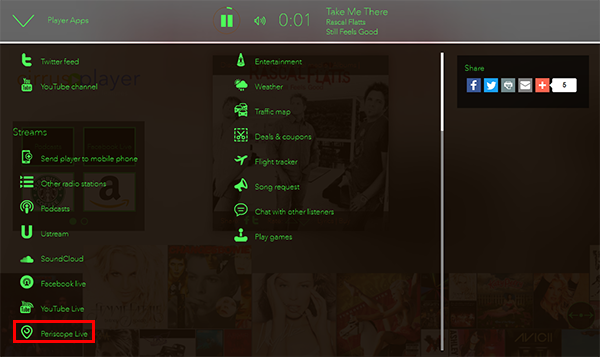 All you have to do is add the embed code into your control panel, under the DESKTOP PLAYER section. 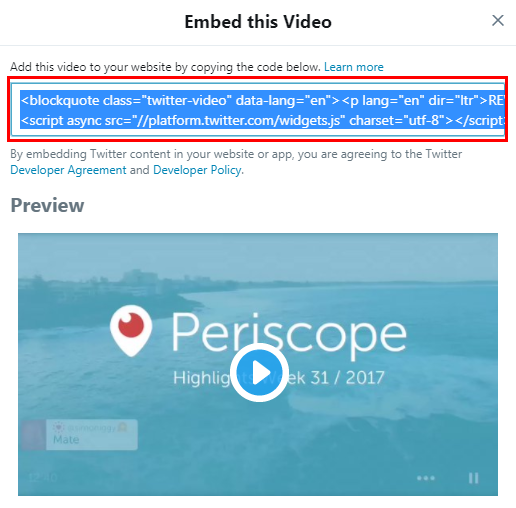 The embed code is found on the tweet containing the video. 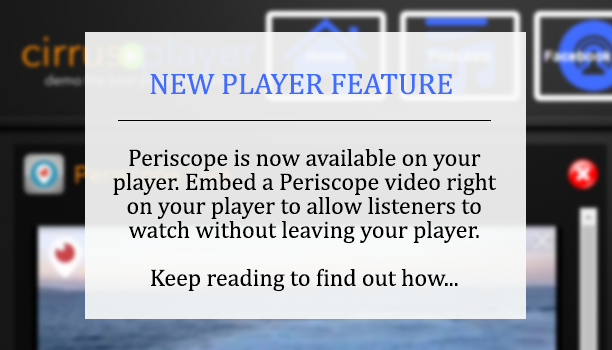 Once you enter in the embed code and click save, you'll see the Periscope icon added to your player's menu. 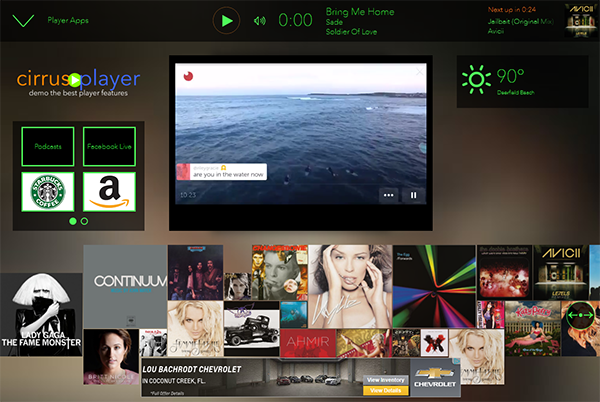 Let us know if you have any questions on this new feature or any other feature on your player!